Assorted-color pills; image by Joshua Coleman, via Unsplash.com. The recall of three popular blood pressure drugs has lead to a look at overseas manufacturing issues. This article is reproduced with the author’s permission. The original can be found on ClassAction.com. [In November], another blood pressure drug recall was announced, the third since July . 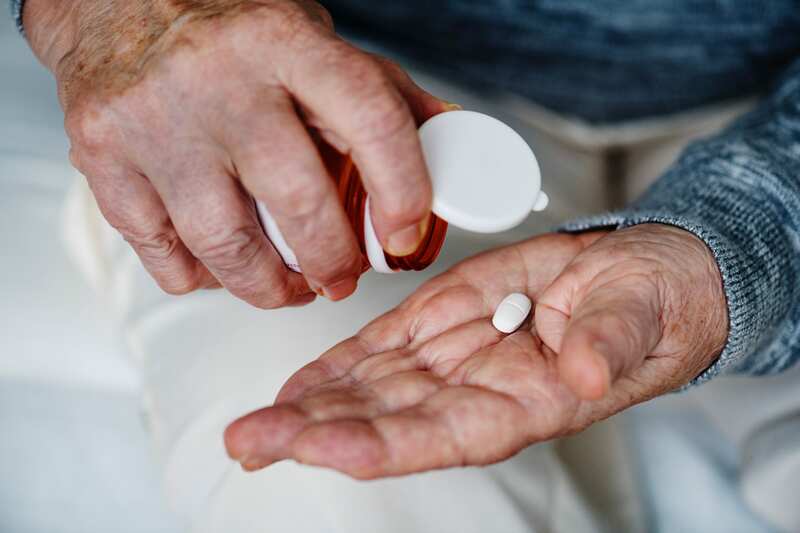 Losartan is the latest drug to be recalled for possible nitrosamine contamination, a class of chemicals that may cause cancer. It follows the recalls of irbesartan earlier in November, and valsartan in July. Nitrosamines are naturally occurring chemicals used in gasoline, rocket fuel, plastics, and other industrial materials. Losartan and irbesartan were both found to be contaminated with NDEA, while valsartan contained trace amounts of a related substance, NDMA. It’s believed that the NDEA and NDMA that tainted the blood pressure drugs were byproducts of flawed manufacturing processes. How are these recalls connected? And why have so many been announced recently? To answer that, we looked at the source: their manufacturers. Losartan and valsartan are both made by Chinese manufacturer Zhejiang Huahai Pharmaceuticals, while irbesartan is made by Indian pharmaceutical manufacturer Aurobindo. This is typical for pharmaceutical drugs sold in the U.S. In 2012, experts estimated that 80% of ingredients in U.S. pharmaceuticals are made abroad, and 40% of finished pharmaceutical drugs are made outside the U.S. It’s likely that these numbers are higher now as 80% of the active ingredients in U.S. medicine comes from China and India alone. Serious adverse drug effects and recalls aren’t unheard of in the U.S., a country with many safety regulations and product liability laws. So what happens when we rely on countries like China and India, who have fewer consumer protection laws and safety standards, to make our medications? How much do we really know about the quality of pharmaceutical drugs we import into the country? FDA Ramps up the Number of Inspections, but Does It Matter? DA Commissioner Scott Gottlieb said in a statement from the FDA that these recalls are a sign of greater FDA scrutiny of our foreign drug supply. The agency has opened offices in China, India, Europe, and Latin America to help oversee foreign drug manufacturing. They also announced that they have increased the number of foreign inspections they conduct each year, which now exceeds the number of domestic FDA inspections. As the number of FDA inspections increases, so do the number of warning letters to drug manufacturers. In 2016, 44 warning letters were sent to Chinese and Indian manufacturers, and in 2017, 61 warning notices were issued. But, are these inspections and warnings actually making drugs safer, or are they just public actions that look like we’re managing the problem? Man dispensing a white, oval-shaped pill from a bottle into his hand; image by Rawpixel, via Unsplash.com. In the case of Zhejiang Huahai Pharmaceuticals, which makes losartan and valsartan, an FDA inspection didn’t do much good. In May 2017 the company received a warning letter from the FDA that their drugs did not meet U.S. quality standards after a problematic inspection. A similar incident happened at Sichuan Friendly Pharmaceutical which received a warning letter from the FDA in June 2018 for their failure to meet safety standards. Two months later, Westminster Pharmaceuticals recalled their thyroid drugs Levothyroxine and Liothyronine, citing quality issues with the ingredients they used from Sichuan Friendly Pharmaceutical. And sometimes, manufacturers outright lie to FDA inspectors. In 2013, Ranbaxy Laboratories in India, a large supplier of generic drugs used in the U.S., agreed to pay $500 million in criminal and civil penalties after an eight-year investigation uncovered falsified records and failure to meet multiple drug safety standards. In 2016, Chinese-based Xiamen Origin Biotech was also caught lying to FDA inspectors when they falsely reported that they had stopped relabeling drugs in January 2015, when in fact they were still distributing them one year later. What Responsibility Do U.S. Companies Have? Author and healthcare reform expert Rosemary Gibson told us that these recalls reveal multiple failures in our drug supply, and the blame doesn’t just lie with the FDA. If things remain the way they are, we’ll likely see more problems with other pharmaceutical drugs in the future. Caroline Cornell is a consumer activist and writer who frequently covers Big Pharma, Big Agriculture, and the chemical industry. She writes for ClassAction.com, a consumer resource with information on the products, services and medications on which Americans depend.